Plant this colorful, sturdy plant now for a burst of bright, citrusy color in the summer and fall garden! Planting them in late spring and early summer allows them to get established. 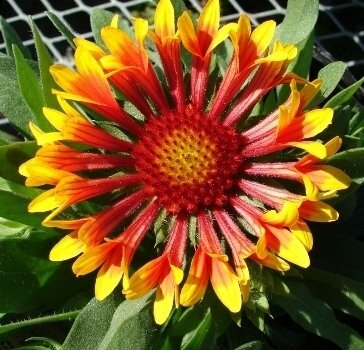 This bright, cheery plant, Gaillardia, is a member of the family Asteraceae, with the familiar daisy-like ray of petals surrounding a central cone. 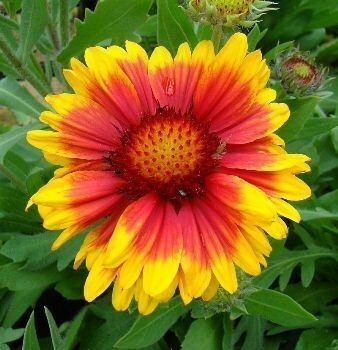 Gaillardia is frequently known by the common names Blanket Flower or Indian Blanket, because it showcases the same bright, fiery colors common in the fantastic artistry of many Native American blankets. Other common names include Firewheel and Sundance, for obvious reasons. It is native to both North and South America, and has a quite impressive hardiness range (zones 3-10), thriving throughout all but the very coldest areas of the United States. There are more than a dozen known species of Gaillardia. They are found throughout Canada, the United States, Mexico, and most South American countries. The native ranges of many species within the United States can be seen here, at the USDA Plant Database. Gaillardia have distinctive, slightly hairy leaves. The perennial varieties go dormant over the winter months, and emerge again in mid-Spring. Even the stems have a fuzzy texture, and look a bit like they've been wrapped in fine cobwebs. They last well as cut flowers, if you choose to snip a few to bring their sunny colors indoors. 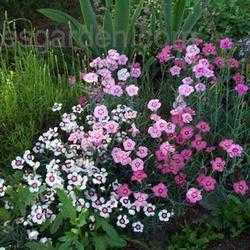 The plants form mid-sized mounds, appropriate for the middle of a perennial border. Depending on the cultivar you select, they may range from 18-36" inches (roughly 45-90 cm) tall, and 18-24" inches (45-60 cm) wide. Some people have commented that they look similar to dandelion leaves in their early stages, so be sure to mark their location so you don't inadvertently weed them out! I appreciate the fact that it is very drought-tolerant, and actually seems to thrive on neglect. I have an area along the edge of our yard, where the soil seems to be poor and drier than the rest of our yard. There seems to be more sand and rock here, so it has quite sharp drainage. Blanket flowers thrive here, and draw all kinds of butterflies to my yard! 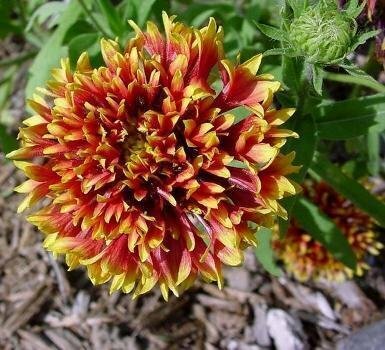 Gaillardia really aren't picky about soil, and do well in a wide range of soils, though they don't tend to fare well with heavy clay soils that retain a lot of water. They only two things they demand are full sun (lots of it!) and good drainage! 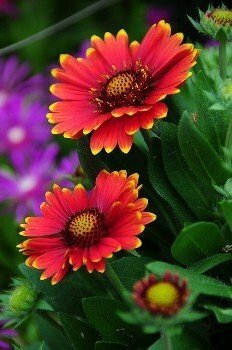 There are both annual and short-lived perennial varieties of gaillardia. The wildflowers so common throughout the southwestern part of the United States are the annual gaillardia pulchella. You can find whole swathes of these bright blossoms along the roadways! The annuals self-seed prolifically, so I recommend that you start with only a few of these beauties, until you see how much they will spread in your area. They are not invasive, and are easy to pull up if they try to establish themselves in areas you don't want them. You can also dead-head them after blooming to prevent them from spreading. The native varieties of gaillardia are excellent candidates for seed-saving. The seed heads resemble spiky little pom pom balls, and are easy to harvest. I just bend the fully ripened seed heads over into a brown paper bag, and snip the stem off with my kitchen shears. The little seeds are sharp, so be careful! Rather than pricking your fingers on the needle-sharp seeds, try placing a few of the seed heads into a sealed jar or plastic container with a lid, and shaking vigorously. Many of the seeds will shake loose, so you can separate them from the chaff without injuring yourself! Many of the newer hybrids, both annual and perennial, have sterile seeds or do not set seeds at all. 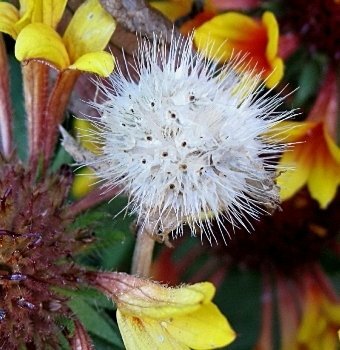 Many of the Gaillardia varieties available through nurseries and greenhouses are the perennial varieties of Gaillardia, such as Gaillardia aristata, Gaillardia grandiflora, and Gaillarida suavis (which also boasts the amusing name Perfume Balls). These are relatively short-lived for a perennial. I find I have to replant them every 4-5 years, though they perform so strongly during those years that I find it well worth the expense. The only gaillardia that did not live up to my expectations was Razzledazzle. I loved the full, ruffled form of them, but the stems were very weak and unable to support the flower heads. 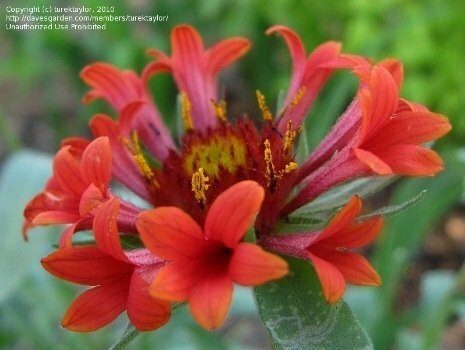 The brilliant red and orange colors sported by Gaillardia are very attractive to many winged garden friends, ranging from a wide variety of butterflies, to bees and hummingbirds. 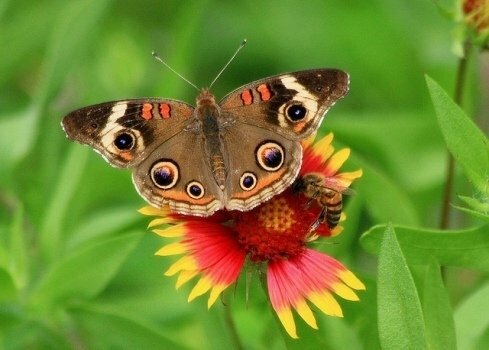 I often see Painted Ladies and Common Buckeyes sipping nectar from them in my garden, though I know many other varieties visit them as well. 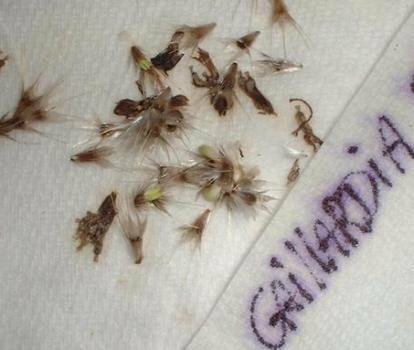 It also serves as a host plant for several caterpillar species, some of which feed exclusively on specific species Gaillardia, such as the caterpillars of several Schinia species of moth. One, the Schinia masoni, feed exclusively on Gaillardia aristata, and go by the common name Blanket Flower Moth. Grandiflora: As the name suggests, this one boasts the largest flowers of any Blanket Flower I've grown. These plants are also slightly taller than some of the other varieties, so I plant them a little farther back in the border. 'Arizona Sun' is a very common example of a Gaillardia grandiflora, and always has a place in my garden. This species was developed by crossing the annual Gaillardia pulchella with the perennial Gaillardia aristata. Fanfare and Tizzy: This grandiflora variations are real attention-getters, and deserve a place toward the front of the border, where they will be easily noticed! Rather than the typical flat ray of petals, these have trumpet-shaped petals. I tried in vain to collect seeds from 'Fanfare'; I suspect it does not set seed, as I always ended up with a load of chaff, and no viable seed. It is slightly more expensive than some of its more common cousins, so I select just a few to put in highly-visible locations. Pulchella: Several of the newer pulchella hybrids have a very different form, looking more like a full ball of petals than the more typical daisy-shape you'd expect from a member of the Asteraceae family. While many varieties set viable seed, some of the newer hybrid forms do not. In my garden, Gaillardia begin blooming in the heat of late July, and continue on throughout the late summer and fall, nearly up until the first frost. 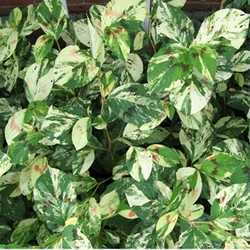 They provide intense color and easy care during a season in which many of my other plants are not looking their best. I plant mine with dark red rudbeckia, echinacea (coneflowers), golden coreopsis, dwarf-sunflowers, and some purple salvia for contrast. You may hover your cursor over any image to see a brief description, or click on any image in this article to see the full-sized version. Images from Plant Files will take you to the original submission; images from Flickr will take you to the original picture, per the Flickr Creative Commons terms of service. Many thanks to the following photographers, who made their images available! 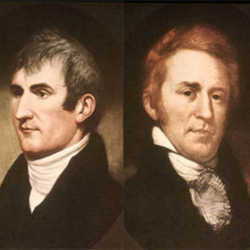 Thumbnail image at start of article: courtesy of theilr, via Flickr Creative Commons. Some Rights Reserved. 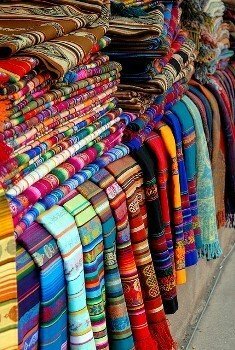 Image of colorful blankets: courtesy of Jason Bechtel, via Flickr Creative Commons. Some Rights Reserved. 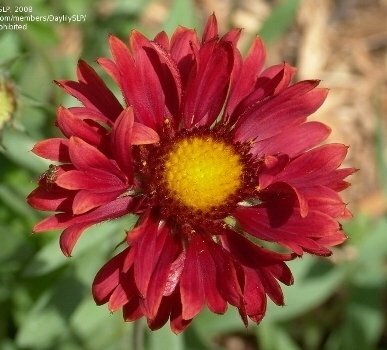 Image of full plant, Gaillardia 'Tizzy': courtesy of DG member TomH3787, via Plant Files. All Rights Reserved. Image of red Blanket Flowers: courtesy of Silver Wolf Graphics, via Flickr Creative Commons. Some Rights Reserved. Image of seed head: courtesy of DG member Kell (Kelley Macdonald), via Plant Files. All Rights Reserved. Image of seeds: courtesy of DG member Saya, via Plant Files. All Rights Reserved. 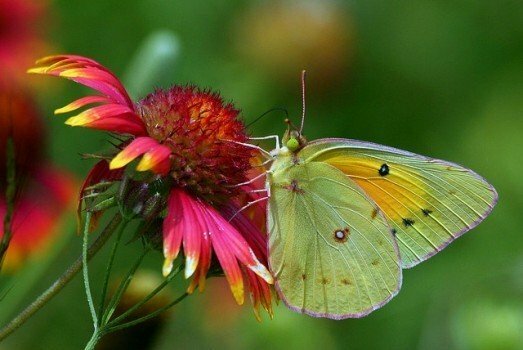 Images of Common Buckeye Butterfly on Blanket Flower, and Orange Sulfur Butterfly on Blanket Flower: courtesy of Texas Eagle, via Flickr Creative Commons. Some Rights Reserved. Images of 'Arizona Sun' Blanket Flower and 'Fanfare" Blanket Flower: courtesy of DG member Kniphofia (Sue Taylor), via Plant Files. All Rights Reserved. Image of 'Tizzy' Blanket Flower: courtesy of DG member Turektaylor (Mary Ann Taylor), via Plant Files. All Rights Reserved. 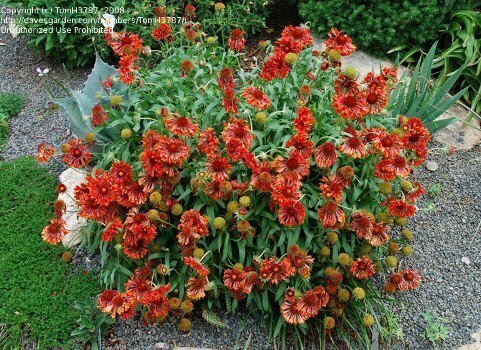 Image of 'Burgundy' Blanket Flower: courtesy of DG member Daylily SLP, via Plant Files. All Rights Reserved. 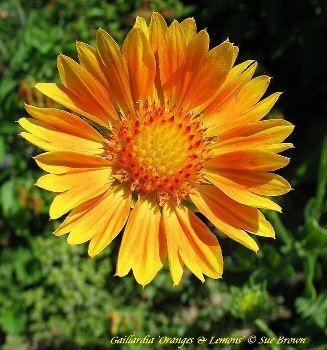 Image of 'Oranges and Lemons' Blanket Flower: courtesy of DG member Calif_Sue (Sue Brown), via Plant Files. All Rights Reserved.